It is said that an explorer among the tombs of ancient Egypt found, in the dried up hand of a mummy, a few grains of wheat that had been placed there many centuries ago by some unknown hand. Desiring to test the strength of the preservation of the germ of wheat, the explorer planted the grains in suitable soil and a waited. The result: in due time the moistened seed germinated, grew, and produced a little harvest in spite of the antiquity of the seed. It is said that many millions of acres of waving grain today are traceable to the handful of seed which the dried-up hand of the mummy held so long. In like manner I shall try to bring from the buried treasure of ideas which have been held by the relentless grasp of forgotten years some important lessons. I should like to bring these ideas from the treasury of biography and enrich the mind of the present generation. So much has been written of Alexander Campbell, both by his admirers and his enemies, that it is hard to select from the great mass of writings just such fragments as will best serve the purpose. It is not my aim to eulogize the subject of this sketch; but I shall attempt to collate such facts as will impress some lesson or principle that should be preserved. Alexander Campbell was born on September 12, 1788 in Ireland. His father, Thomas Campbell, was a Presbyterian preacher at that time. His mother was of French descent. 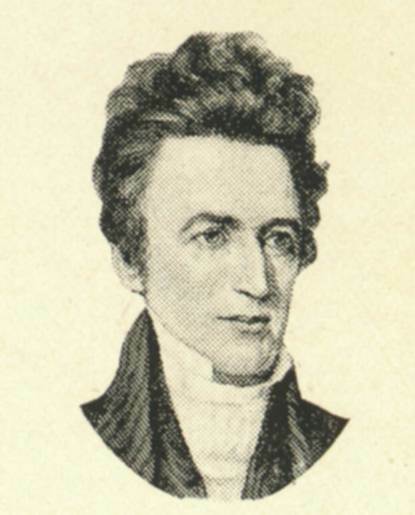 Thomas Campbell was preaching for the Secession Church of the Presbyterian faith. He was independent in his thinking, though formally bound by the creed of his church. His son, Alexander seems to have inherited largely the love of freedom and independence of thought of his father. If one were tracing the history of the Reformation Movement, one would have to go back to the Secession Church in Ireland and Scotland. Alexander Campbell had splendid advantages for an education. His father was a teacher of no mean ability, as well as a preacher. He took great interest in the education of his son. Young Alexander was very fond of reading, and read with interest and profit the best books that he could find. His intellectual nature was such that he soon became one of the best scholars for his age in that country. He had an ambition in his youth to become "one of the best scholars of the kingdom." The traits of his mind soon became conspicuous and found free activity in the literary work which he did. The period of youth was the seed-time of life, and he neglected no opportunity in storing his mind with useful facts and principles. When it was possible, Alexander entered the university at Glasgow. With his unquenchable thirst for knowledge and with all the energies of his great mind, he pressed on in his educational career at the university with an earnest desire to prepare himself for preaching the gospel. He was converted, according to the theology of that age, in early life, and joined the Presbyterian Church. Like many today he did not examine the Bible or search from its pages to find out the will of the Lord. He united with the church of his father, and because his father was a Presbyterian he became one. Of course in later years he studied the Bible to know the will of God and to do it. He soon began taking public part in the church work. It was his desire to be of the greatest service to the church—a desire which ought to inspire the young people of the church today. If young people were taught to prepare themselves for the greatest usefulness in the service of God and their fellow men, they could be worth so much more to society and the church. 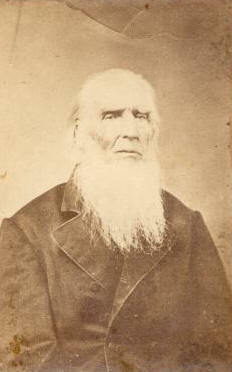 Thomas Campbell emigrated to America in 1807. Alexander Campbell came to America in August, 1809. His father had been preaching for the Presbyterian Church in America, and because of his independence and distaste for the slavery of creeds he had withdrawn from the Presbyterian synod. Alexander Campbell united with his father in free America in teaching the will of God as he then saw it, independent of denominational restrictions. Step by step he advanced into the liberty of Christ, gaining encouragement at each step, until finally he defied creedal slavery. He enjoyed with his father the spirit of the great slogan: "Where the Scriptures speak, we speak; where the Scriptures are silent, we are silent." Following this motto; he soon began to doubt many of the religious theories to which he formally adhered. He began to examine the Scripturalness of every tenet of faith and act of worship. The Bible was his guide and the word of God his supreme authority. He soon became convinced that there was no Scriptural authority for infant baptism, and, true to God's word and his own conscience, he gave up these cherished theories of the Presbyterian Church. He sought some one to immerse him. He found Matthias Luce; a Baptist minister; to perform this rite. This was in 1812. He was now in full accord with the Baptist Church on what was called "the mode of baptism," and out of harmony with the Presbyterian Church. He soon discovered that he was out of harmony with the Baptist Church on its creed as well as much of its practice. For about seven years he published, the Christian Baptist. The first issue of this paper was published on August 3, 1823, and the last issue was published in 1830. In the Christian Baptist he tried to correct many of the errors common in that day. During this time he cut loose from all ecclesiastical bodies and called upon those who would worship God to do so in the liberty of Christ. He affiliated for a time with the Baptist Church, but he saw that to follow the Scriptures he must repudiate all human institutions and exalt only the Church of our Lord. He had faith in this church and had the courage to stand by his convictions. He believed in the church of the Bible and had the courage to condemn sects and denominations with their creeds and human devices. He began calling upon people to worship as the New Testament directs, and he found many who were eager to do this. Local congregations were established on the New Testament pattern, and guided only by the New Testament in their work and worship. After he had been preaching independent of the Baptist Church for some time, the Baptist Church in some formal way condemned his action. Alexander Campbell was not excluded from the Baptist Church. He was never in full faith and fellowship with the Baptist Church. He was baptized by a Baptist preacher, and affiliated in a rather loose way with the Baptist Church while he was groping in darkness. But soon the light of God's truth dawned upon his soul, and he ignored the claims of the Baptist Church upon him and pursued a course independent of the Baptist Church. He founded no new sect or denomination. He said, in the Christian Baptist of 1826: "I have no idea of adding to the catalogue of new sects. I labor to see sectarianism abolished and all Christians of every name united upon the one foundation upon which the apostolic church was founded. To bring Baptists and Pedobaptists to this is my supreme end." It is contrary to fact and contrary to all reliable history to state that Alexander Campbell founded the "Campbellite Church" or any other church. He did no such thing, and those who so state contradict the facts and truthful history. He simply called upon people to take the New Testament as their guide and the church of the New Testament as the only church which is authorized by the word of God. This sketch would not be complete if I did not call attention to some of the debates which Mr. Campbell had. Mr. Campbell was averse to debates. In his early life he thought that debates were contrary to the spirit of Christ. He was almost pressed into his first debate. The most notable of his debates were put in book form. The Campbell-Owen debate was on the evidences of Christianity. Robert Owen was a famous infidel of Scotland. This debate was held in Cincinnati in 1829. Another famous debate was the Campbell-Purcell debate. This debate was on the Roman Catholic religion and was held in Cincinnati in 1837. The Campbell-Rice debate was held in Lexington, Ky., in 1843. In this debate the subjects of baptism, human creeds, and the operation of the Holy Spirit were discussed. Any one may read with profit these debates today. Alexander Campbell died on March 4, 1866. His wife comforted him with the following: "The blessed Savior will go with you through the valley of the shadow of death." He replied: "That he will! That he will!" These were his last words. Approach to Bethany can be made four ways, one or two of which are not great if you are prone to car sickness. The approach from Wheeling, W.V. is very curvy, on Hwy. 88. Thus, it is better from Wheeling to go up Hwy. 2, following the Ohio River to Wellsburg. Turn right on Hwy. 27 and go around five miles and turn right on Hwy. 88. Access this way is straightest from Wheeling. Once arriving in Bethany, travel all the way through, passing the church building on the right, crossing Buffalo River/Creek, passing the soccer fields on the left, and continuing until you get to the Campbell Mansion. When you see the historical marker on the right, you should turn right, but keep to the left as you go up the hill toward God's Acre Cemetery. The cemetery is enclosed with large boulders. Enter the cemetery at the steps. From Washington, P.A. - Take Exit 17/Jefferson Avenue on I-70, and head north, (away from Washington) on Hwy. 18/844. When 18 and 844 split, be sure to go left on 844. Go a few miles and turn left on Hwy 331/Brush Run Road. (There has for years been a red barn at the corner, making for a good landmark to know where to turn off Hwy. 844. onto Hwy. 331/Brush Run Road. Take 331 until it dead's end to Hwy. 231 where you will turn left. Hwy. 231 will dead back into Hwy. 331. Turn right and head into Bethany. The first glimpse of Bethany will be the old Campbell mansion on the right. Be sure to go through this house if possible. It is good to call ahead to make sure someone is able to show you through. You can not get in on your own. But, continue just past the mansion and turn left on the little road that give you access to the cemetery. Be sure to stay to your left as you make your way up the hill. The cemetery is enclosed with large boulders. Enter the cemetery at the steps. In the foreground, the brownish colored stone is that of Alexander's first wife, Margaret Brown Campbell. The large gravestone behind is that of Alexander and His second wife, Selina. The Campbells and other dignitaries of the Restoration Movement are buried in God's Acre, the cemetery on the hill across from the old mansion.